The play on musical terminology continues, as I’ll present the 2nd hour of Rarely Tasted Rock this weekend on The Appetizer Radio Show (complete station listing and times of airing on appetizerradio.com). The series began last week and is the result of lots of listening, not just to music (which I do anyways), but to people. One of the best compliments I get is that what I do on the radio show isn’t being done anywhere else. It’s one thing to play unknown artists and obscure people from across the spectrum. But it’s also something else to take well-established acts and feature music from them that most people don’t know or haven’t heard, but are readily available on their albums.That’s the reason for music that is rare, not fried. 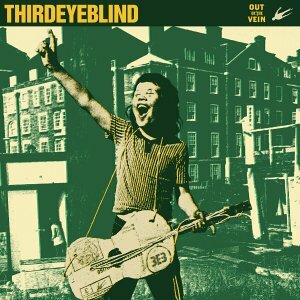 Third Eye Blind (aka 3eb)'s album "Out Of The Vein"
So that’s what we’ll continue with this week. What can you expect? 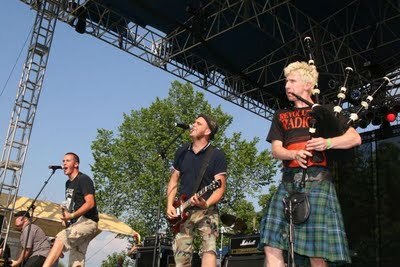 How about a mixture of emerging indie artists (Feist and Vib Gyor to name a few), established pop acts (The Killers, Green Day, Brian Setzer), and a few names you might not have heard (Rosi Golan, Flatfoot 56). This is just a sampling of what I have on the menu, but you’ll have to tune in and taste it for yourself. The Appetizer is heard on public radio on stations across the country, and right here weekly on our Blog. More info on our carrier stations can be found HERE.